V ogel Crystals are double terminated quartz crystals that are carefully cut in conformance to the findings and teachings of Marcel Vogel. Vogel crystals are cut to amplify and focus thoughts and energy that you wish to direct into your physical and multi-dimensional bodies or those of another person. The design of the crystal allows for your pure intention and the energy of Source, to enter the crystal at the receptive end, be amplified and focused as it travels in a circular pattern through the crystal, and be transmitted like a light beam from the focal end. In this way they are used for healing efforts, both for sending healing energy to the body and the spirit; meditation to focus the connections with spirit world beings. 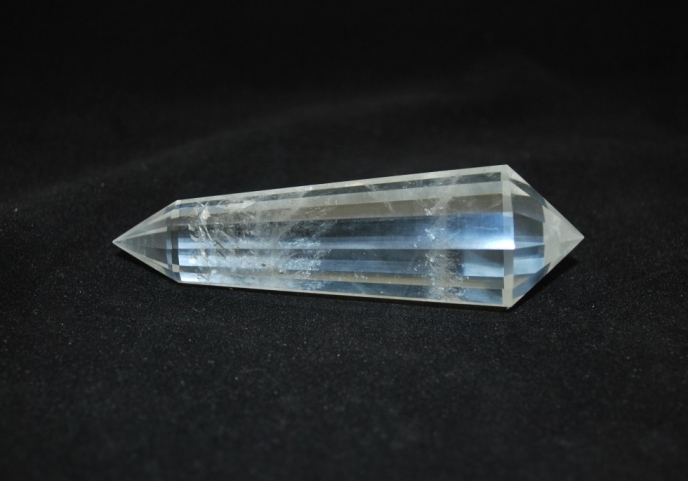 4 sided Vogel crystals are for healing efforts aimed at the physical body. 6 sided Vogel crystals are used for healing emotional ailments. 8 sided Vogel crystals are used for healing emotional trauma. 13 sided Vogel crystals are used in meditation to connect with past lives. 21 sided Vogel crystals are used to resolve family issues. 24/8 sided Vogel crystals are used for spiritual rebirth. 24/12 sided Vogel crystals are used in transformation efforts.